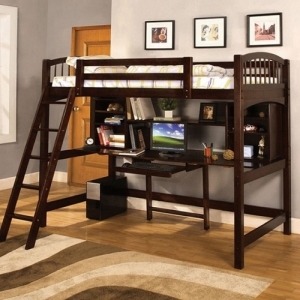 Loft beds are convenient when dealing with small spaces. 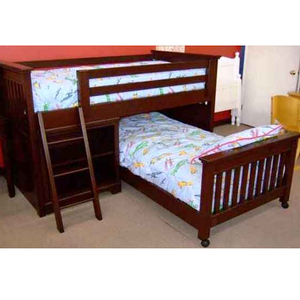 Since loft beds are generally just the top bunk, it is not recommended for children under the age of six to sleep on a loft bed to prevent any injuries from occurring. 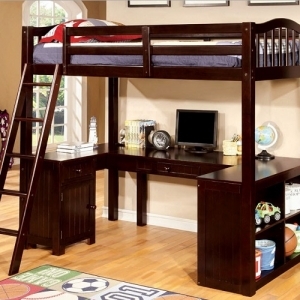 Loft beds can be convenient for a wide range of people; from children to teenagers in a college dorm. 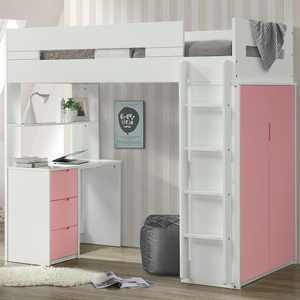 There are smaller loft beds for children, these loft beds are lower to the ground and sometimes come with a slide, making it easier to get off the bed. 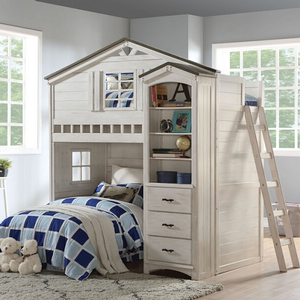 The children’s loft bed also may come with a theme like princess, fire station, or a Nickelodeon character. Instead of a ladder there is also the choice of having a staircase which supplies more room for storage as the stairs are actually drawers. 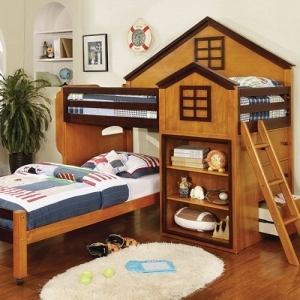 A loft bed is also great with the underneath area that can be used as a play place for the younger children. This area can also be used as a desk. In the desk area children can utilize this place to draw, color, or as they get older for homework. 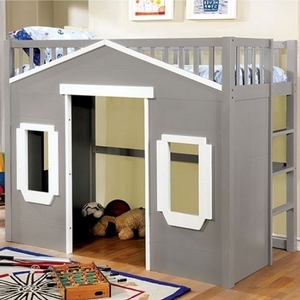 The extra space provides the necessary storage for clothes, books, or other utilities the child may have. 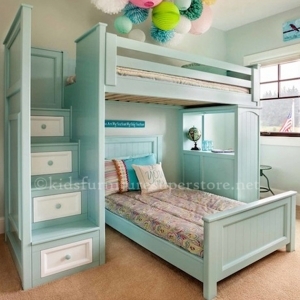 In other instances, the space beneath the loft bed can be used to place a couch and have a nice area to lounge. Other times an extra bed is placed in this area to accommodate anybody else sleeping in the room. 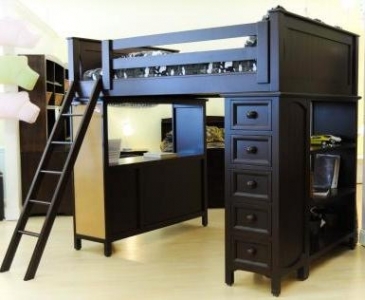 Another thing to consider when purchasing a loft bed would be deciding the material that suits you best, wood or metal. Most important of all the bed should be sturdy and be able to hold the weight of the person sleeping on the bed and not wobble. There are 83 products in this category.